Description: For presentation templates, the simpler, the more chance you use it. 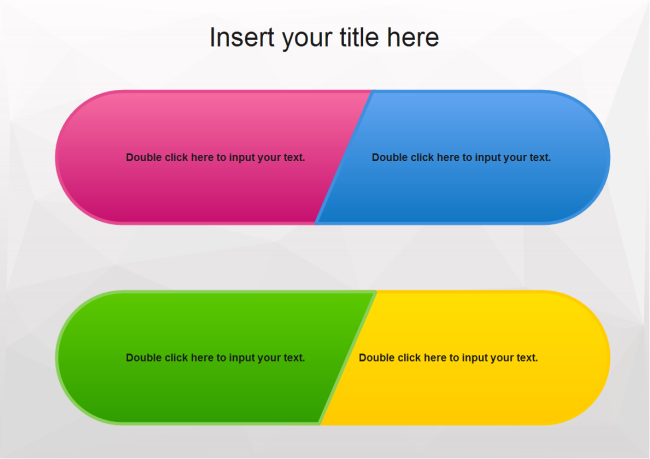 This color joint template is prepared for those who are seeking for simple presentation templates. Though simple, its unique design makes your presentation special. Download for free and you can customize the color and size according to your specific needs. Through this sharing community, you can share your awesome creations and inspire other diagram designers. All presentation templates are in vector format allowing users to edit and customize. Explore whatever fits you best and download for your own use.